Creme Eggs get all the attention at Easter, but then who can resist those gooey centres when they're drizzled over a cheesecake or brownie? Not me anyway. I created these Brownie Cookies by accident one day when I was baking up some baked treats for my other half to take to work. I love the way the mini egg stands out against the dark chocolate cookie base but I'm not sure his work mates will have noticed my artistic intentions when they were busy tucking into these on the night shift! 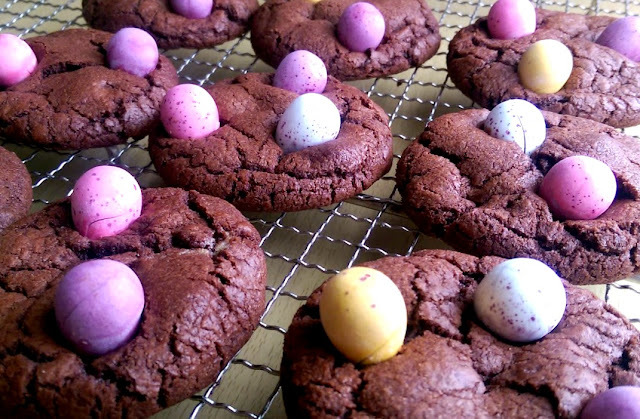 These are super easy to make and adding the mini eggs after baking means the eggs stay intact but if you add them prior to baking then that's fine, they just tend to crack and melt so you don't get the same effect once baked. 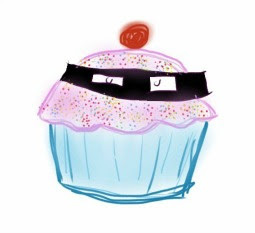 Either way, they taste good. 1. Cream butter and sugars till pale and fluffy, once creamed, combine in the egg and vanilla. 2. Sift in the flour and salt, then the chocolate chips. 3. Refrigerate dough whilst you preheat the oven to 180°C, gas mark 4. Line cookie sheet with baking paper. 4. Roll into walnut size balls and press gently to flatten the top of the cookies. 5. Bake for 7-10mins until the cookies have spread slightly. Be careful not to overbake them to ensure they stay nice and chewy! 6. 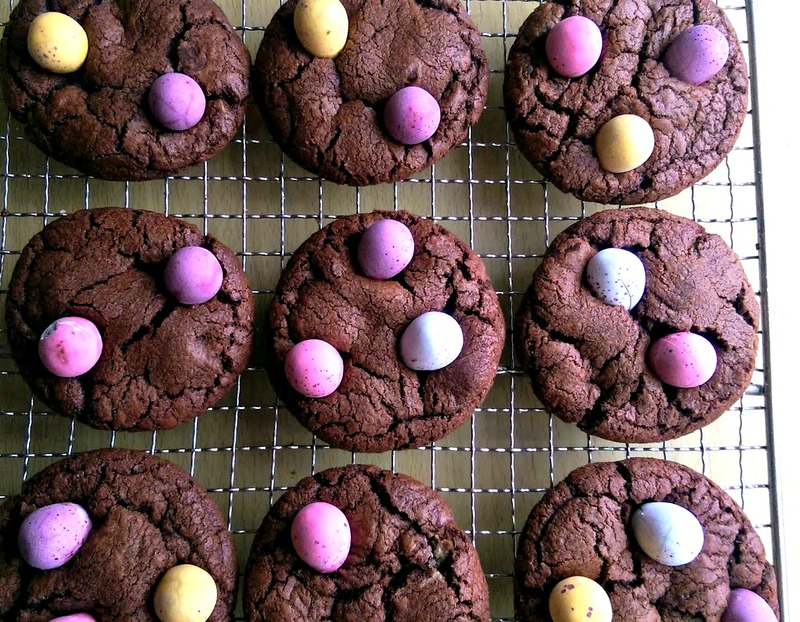 Remove from oven and immediately push your mini eggs into the hot cookies. Allow to cool on baking sheet before transferring to a wire rack to finish cooling. 7. The cookies should be stored in an airtight container and will last for up to 5 days (if they last that long!). 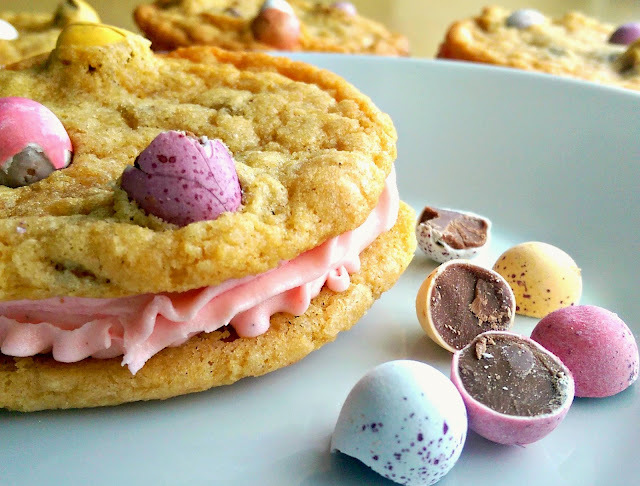 And if you'd like some more Mini Egg inspiration then why not try these buttercream filled Mini Egg Cookie Sandwiches? 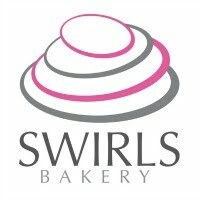 Who can resist pink buttercream filled anything? !